The simple fact is that web servers are usually not good at sending emails. It’s important to keep this in mind when using WooCommerce, and even more important when AutomateWoo, because the last thing you want is for your transactional and marketing emails to end up in junk folders. The good news is there are solutions to this problem but the first step is to run a quick test of your email. 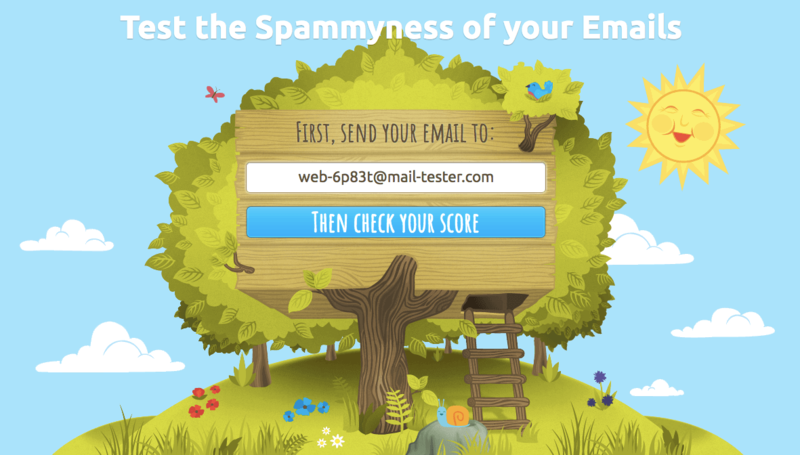 Here’s how to test your spam score using the free online tool Mail Tester before you start sending your emails. 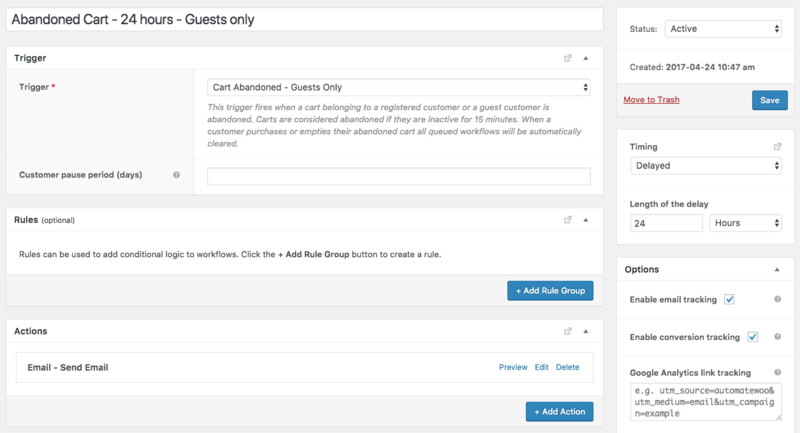 Step 1 In your WordPress admin, select one of your email workflows. For this tutorial, we will be testing the spam score of the workflow Abandoned Cart as an example. Step 2 Click the Preview option under the Actions header. This will open up a new tab displaying a preview of your email. 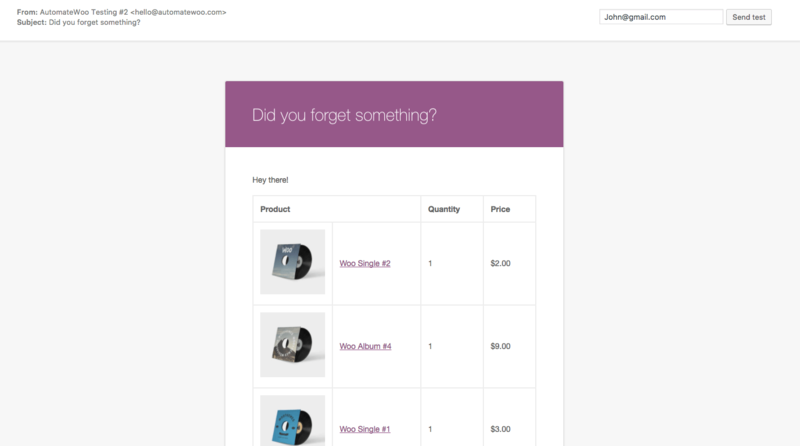 Step 3 In the Preview tab, replace the default email address in the top right-hand corner with the email address provided by Mail Tester on the homepage. Now click Send Test to have your email reviewed by Mail Tester. Step 4 Return to Mail Tester.com and click the Check Your Score button. Your results will be displayed with a score out of 10, with 1 being very poor and 10 being very good. Our example email received a score of 3.9 out of 10. This means it is unlikely to reach an inbox and there is plenty of room for improvement! Mail Tester also breaks down their spam score to show the individual grades your email received for six different criteria which make up the total score. This can be viewed in detail and used to improve your email so that it reaches your customer’s inbox. We recommend a score of 7 or higher. If you need to improve please read our documentation on avoiding the spam folder.